All my friends are married. Singleness seems like an even lonelier road when the community you are immersed in at church is full of blissfully wedded couples. In fact, I think it's a top complaint of single women in churches - that there aren't enough single people to connect with (or godly men to, um, date). I get it to a large extent. I am married now, but didn't tie the knot until my 28th birthday. Through my twenties a lot of my friends got married and a lot of the churches I attended during that time seemed to have staggering amounts of married couples. Finding a single friend in church seemed like searching for water in the desert. With no husband or even a boyfriend to grace my arm, church and small groups became a very isolating place for me. There was a part of me that felt left out and awkward. I longed for connection with others, but it seemed impossible in this season of singleness. Walking in singleness among married church folk is a unique season with it's own set of challenges. In one respect, you are a free bird, able to navigate the social calendar with ease; on the other hand you often feel like the third, fifth, seventh, or even 25th wheel. So what did I do when I couldn't find community among singles at church? I decided that church wasn't the place for friendships. I made up my mind that church would be for soul-nurturing food, and I would find meaningful connections other places. This was a selfish decision made out of a combination of fear, frustration, and sadness. God is clear that church is not just about tending to our own souls. Church is a living and growing organism, a body, being built up and upholding the truth of the Gospel (Ephesians 4:11-16). For me to abandon God's wisdom and will for church and deciding to forego connecting with the Body was sinful. But here's the deal - even when I confess my sin of making an excuse to not be involved in church simply because of my singleness, it doesn't automatically make it easier to be a single woman in a community of mostly marrieds. Being single without a well of single friends to draw from in church is a struggle. It's a special kind of suffering that we dismiss as a problem with the church we are involved in, instead of calling it what it is - difficult. Just because something is difficult does not mean it's not good, beneficial, or even ok. In a culture that craves comfort and retreats at the slightest taste of hardship, we are conditioned to think that when something is difficult, it must be bad and we must leave. This is incorrect thinking. If Jesus thought like this He wouldn't have made it through 40 days of fasting and Satan hounding Him with temporary comfort in the desert; He wouldn't have bothered telling people about repentance and belief to save Himself from the complaints and outrage of people; and He wouldn't have submitted Himself unto the Father to die upon the cross for a creation that spat in His face. Hardship is good and builds character and hope. It makes us more mature and it reminds us not to place such high stakes in this world. We can call singleness in church difficult, but we can't retreat, bouncing from one place to the next because of a hard season. We must embrace the hard seasons, that we might know Jesus more. Here's where we need to push through to maturity in the season of difficult - it's time to take a look at three principles that will help and encourage any single woman looking for community in the church. Principle No. 1: Church is not about you. Church is about the entirety of believers being built up so that the Gospel of Christ may be clearly proclaimed in this world. When it becomes about us then we condition ourselves to be masters of complaint and consumption. We devour things we like and reject things we don't, and leave when we want. If you are single and your main reason for going to church is to find friends, I caution you to evaluate your heart. This will only lead to a consumer heart that will be continually unsatisfied with what you find at any place of worship. Go to church to commune with the people of God; to celebrate Jesus with all people, not just with those that don't have a husband. Don't limit the body of Christ based on age or marital status, rather engage with the gamut of women that are worshipping with you. As a single person I sometimes felt less valuable at church; like I possessed less skills and talents because I didn't have a husband. Most of this was concocted by my own fears and desires. Single people are valuable. First and foremost because they are a person made in the image of God, given life and breath by God. Second because the Bible says that each member of the Body is important (1 Corinthians 12:1-31). Can the eye say to the hand, "I don't need you?" Heck no. Wouldn't it be weird if the body of Christ looked like one giant eyeball. Yes. Yes it would. Every member of the Body of Christ has something important to offer to the community. When singles use the excuse of singleness as a way to disengage from the community and serving, they are missing out on offering their God given gifts to the service of the saints, the advancement of the Kingdom, and the glorification of Jesus. Paul didn't use his singleness as a crutch, but he used all the time and resources he had as a single to advance the Gospel. Engage in the Church - you are a valued member! God has given you gifts, talents, and skills to use in the Body of Christ. Finding community for most means connecting with others on a deeper level and building meaningful friendships with like-hearted people. That is a great, and much needed aspect of community, but only one piece of the pie. Community is a place of friendship, but also a place of service, participation, and partnership. We serve one another in love, we participate in the grace of Jesus Christ together, and we partner with each other to advance the Gospel. 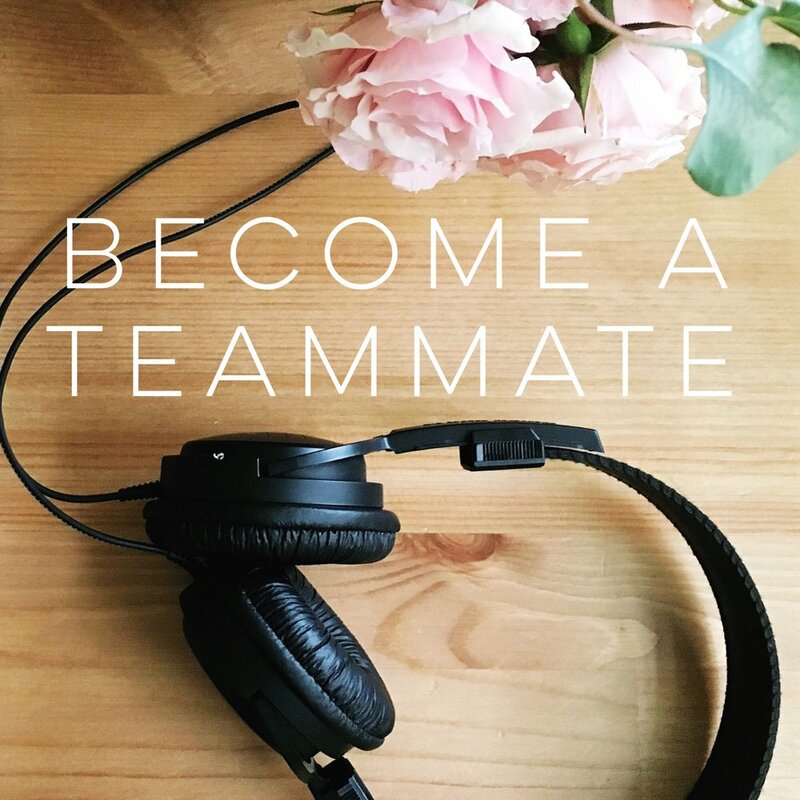 When we are doing these things with other people in our church, we will make friendships; we will form deep and precious bonds with other women. If we continually keep the purpose of church and community in our minds, then we will not be so abrasive to the idea of branching out to engage with a variety of women in different seasons of life. Break any non biblical model of community that you may be holding on to dearly. Reach out to others and be students of their season of life. Learn from married women about being a wife; learn from moms on what biblical motherhood is; learn from business women about entrepreneurship. There is so much good in embracing true community, not just pursuing friendships with people who are like you in their relationship status. It's ok to be honest about the difficulties of connecting with others at church. It's a sort of vulnerability that lets others into what's going on in your life. I attended a church that had small groups and there was only one group of single women. When I asked to join that group the church said I couldn't because it was "closed to build close community among those women." I see the heart behind that decision, but I was crushed. I needed to let them know how that made me feel as a single person. But I didn't. I moved on. Perhaps if I would have been bold enough to open up about how it made me feel, I may have had the opportunity for community in another way - maybe starting another group for single women, or being encouraged to join a group of married couples and communing with them. Or maybe it would have given that particular church insight into how to connect new people to others. I won't ever know, but I've definitely learned from that moment. Don't just give up because you reach a hurdle in connecting, especially if it is a church that is biblically and doctrinally sound. Am I making church about me? If so, in what ways? How can I make sure I understand church in a biblical way? Do I think I am a valued member of the Body of Christ? Why or why not? If not, what can I do to understand my role and value within the Body? What is my definition of community? Is it biblical? How can I engage with people at church to create a sense of community in my life? Next, tell someone at church with a humble heart. Church leadership may have ideas on how to help you, like serving on a particular team at church to help you engage with like-hearted people, or connecting you with a discipleship opportunity. Or you may give them insight into places they need to address. But, if they give you opportunities to connect, in humility and trust in God, you should try them :) and not leave the conversation unsatisfied. Above all remember, take heart, because Jesus has overcome the world. There will be difficulties in life, but take it as a opportunity to know Jesus a deeper way, satisfied only in Him and His grace. When you are lonely, or feel unknown, seek comfort in the Lord, not in people. After all, community in the church is good and desirable, but only Jesus is absolutely satisfying.